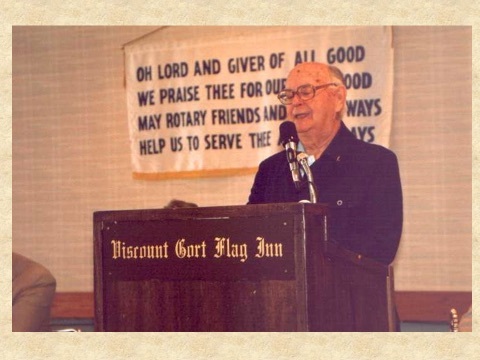 Clint Fogg joined Winnipeg West Rotary in 1958 and served as Club President in 1970-71. Clint and his brother, Charles, bought an automotive parts company and renamed it Fogg Brothers Limited. Clint assumed the role of company comptroller until his retirement. Fogg Brothers would eventually become part of Consolidated Auto Parts. Clint was always concerned about helping children in need. For many years he would organize a Christmas party for children. In time, the party would become known as the Clint Fogg Christmas Party. Clint Fogg died on March 31, 2000 at the age of 91. The tradition of the annual party continues to this day and we honour Clint’s dedication to children each year and the party still carries his name. Every child deserves a couple of nice gifts. Kids tear open their gifts.